And why not? Blood is a wonderfully gamey thickening agent that adds texture and flavor to all sorts of dishes that we wouldn't think about today. Unfortunately, as we've moved away from rural living, our connection with what we consume has been lost and our modern urban sensibilities would much prefer our meat to be as sanitized as possible. And sadly, that means no blood. But many cultures around the world continue to cook with blood and there are solid reasons to bring it back into American kitchens. 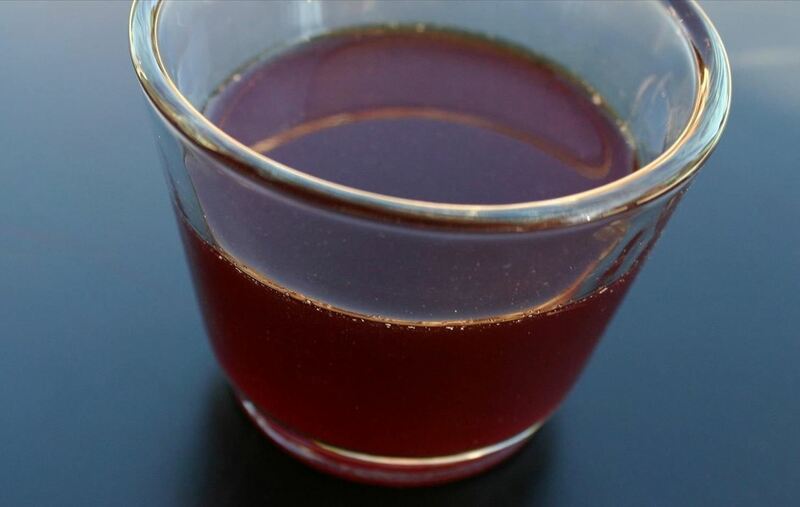 In addition to its wild flavor, animal blood is quite nutritious; it's rich in protein, iron, and vitamin D.
Just last year, Elisabeth Paul of the Nordic Food Lab made waves by publishing their findings on chemical similarities between animal blood and chicken eggs. Both share similar protein compositions and content, as well as the same foaming, coagulation, and emulsifying properties. So how do you get blood, and which kind should you get? Your butcher can get it for you provided you order it from him ahead of time. Pork's blood is what's used most often, but cow's, sheep's, or lamb's should also be available. Freshness is key. The less time that passes between when the animal is slaughtered and when you get the blood, the better. Generally, anything older than two days isn't worth using. Regardless of when you use it, and especially if you plan to store it, be sure to add an anti-coagulant (like vinegar or 5% of salt) to your blood, otherwise lumps will form. Your butcher or purveyor may have already done this. Here's a great tip: put your animal's blood (post-anticoagulant) into an ice cube tray and you'll have frozen cubes of blood to drop into your next soup or stew. But, per Chef Brad Farmerie of New York's Public restaurant, do not defrost the blood by heating it. Let it thaw naturally. And don't worry about the safety of cooking with blood. As long as you keep to the USDA's recommended temperature of cooking above 165°F, there is no danger of illness. 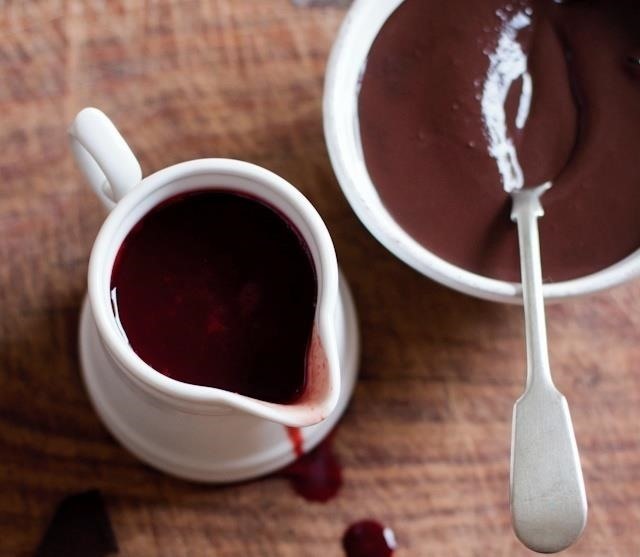 If you're looking for something sweet and off-kilter to make, this recipe for sanguinaccio dolce is an old Italian blood and chocolate pudding that can also be used in gelato! 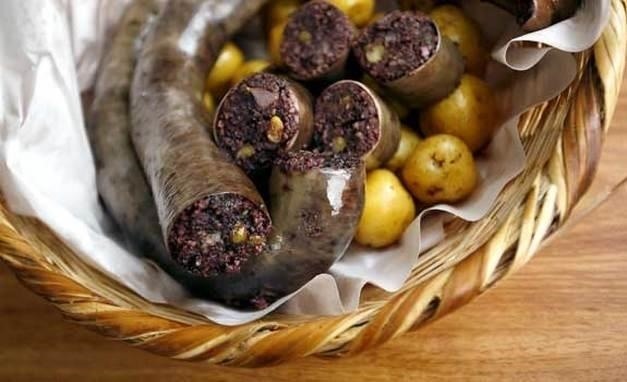 Perhaps the most popular "blood" dish is blood sausage (aka black pudding), which can be found in many forms in many cultures from around the world. 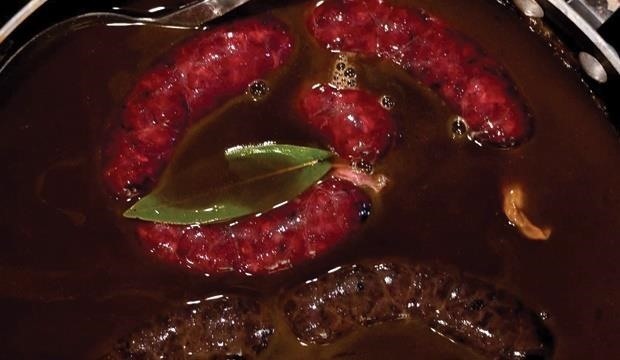 Each cultures puts its own spin on the sausage prepared with blood (usually pig's). 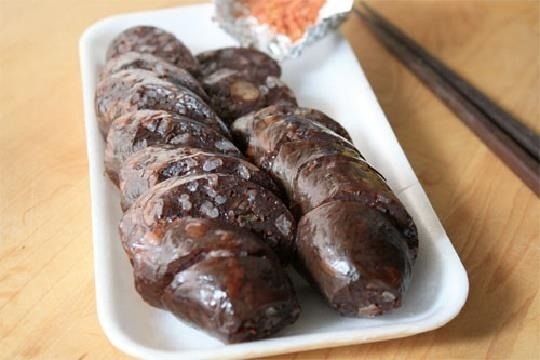 Here's morcilla from Spain, which contains pig's blood, rice, and spices. Soondae from Korea uses cellophane noodles and barley to absorb the blood and sometimes contains kimchi, perilla leaves, and/or soybean paste for flavor. 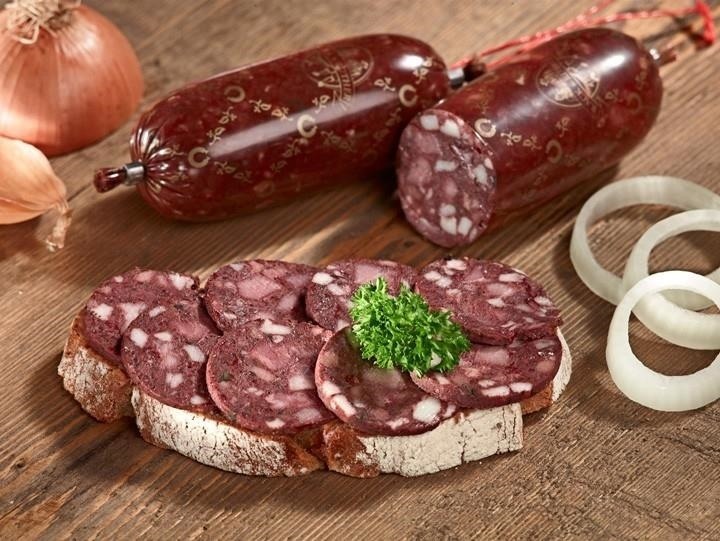 Boudin noir from France is considered quite the delicacy among the charcuteries. The sausage is dry and can have little chunks of apple in it. Finally blutwurst is as German as it gets. In parts of the Rhineland, horse meat is used. 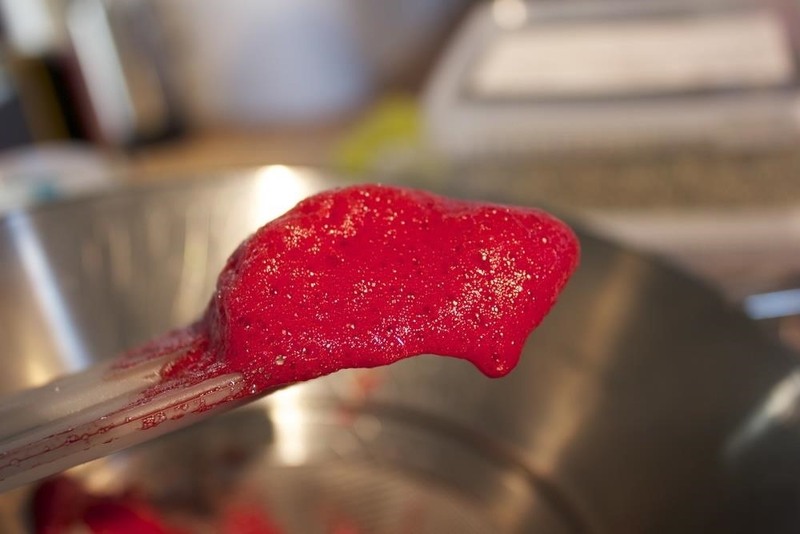 Blood pancakes, a highly popular dish in Finland (where it's called veriohukainen) and Sweden (named blodplättar), are very similar to normal pancakes, only with whipped blood as an ingredient. The finished product is more dark brown than red, so keep that in mind if you're creating a colorful pancake masterpiece. You don't have to be that daring, but consider the addition of blood to your next dish. Cooking with blood is not only healthy and delicious, it continues a human tradition that takes us back to the dawn of man. More food inspiration awaits on Weird Ingredient Wednesday. Sick of rice and pasta? Then learn why you should get your freekeh on. Meanwhile, there's a mushroom that tastes like candy and a good reason why people add charcoal to their food.